Defence Minister Harriett Baldwin today recognised the vital contribution that businesses have made to the construction of the Royal Navy’s largest ever ships. HMS Queen Elizabeth will be formally commissioned into the Royal Navy by Her Majesty the Queen next week. 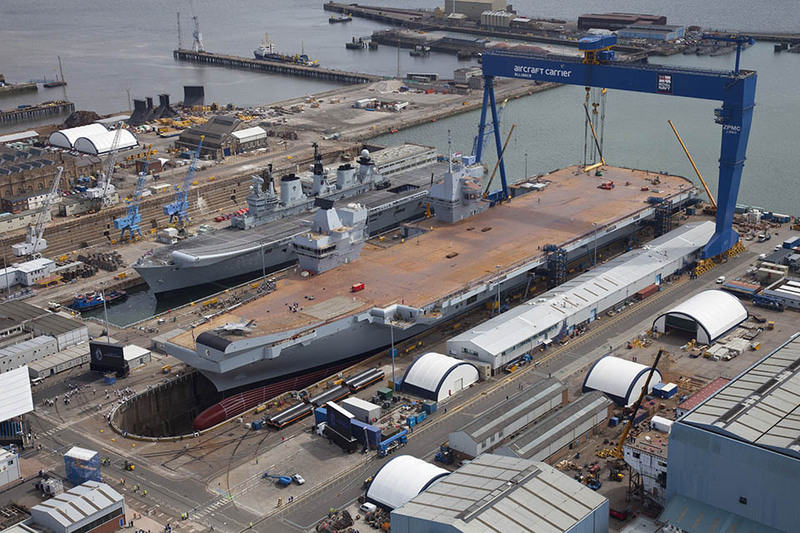 HMS Queen Elizabeth, the nation’s future flagship and the first of Britain’s two new 65,000 tonne aircraft carriers, will be formally commissioned into the Royal Navy by Her Majesty the Queen next week (07/12). But the construction of the 280 metre-long ship would never have been possible without the essential work undertaken by small and medium sized enterprises (SME) from around Britain. On behalf of Defence, the government and the whole of the United Kingdom, I would like to thank the hundreds of businesses around the country for the millions of hours they’ve spent equipping our ships in what has been an immense nationwide enterprise. Their Herculean efforts showcase our great British talent and saw HMS Queen Elizabeth complete her 2017 sea trials with flying colours as she prepares to project our interests right across the world. 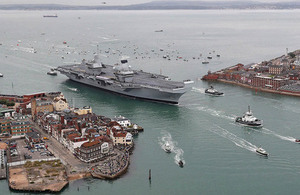 Over 700 British SME’s have supported the build of the aircraft carriers in what has been a truly national endeavour. The programme has brought together the best of British industry, with construction involving more than 10,000 people including more than 800 apprentices. Defence Minister Harriett Baldwin has recognised the vital contribution that businesses from across the UK have made to the construction of the Royal Navy’s largest ever ships. I am incredibly proud of how DE&S and our colleagues across Defence have worked in collaboration with businesses across the UK to deliver a programme of such global significance. The success of the Queen Elizabeth class is a testament to the thousands of people who have worked on the programme and the vital skills they bring. I look forward to continuing our important relationship with industry to bring the second ship, HMS Prince of Wales, into service. In 2015/2016 the Ministry of Defence invested over £18bn with UK industry, supporting more than 120,000 full-time jobs, and benefiting local economies. Last year saw the MOD’s direct spend with SME’s increase by over 10% across the country as it continues to make it easier for them to win defence business. Defence Minister Harriett Baldwin has launched initiatives such as a new Supplier Portal, which brings together a range of useful information for new and prospective suppliers in one place for the first time, a dedicated Twitter account to flag opportunities to SMEs and simplified contracts for lower-value, less complex procurements. Soon after the commissioning ceremony on Thursday 7th December, work will continue apace to ready Britain’s most advanced military vessel ever for the vital role it will play in projecting Britain’s influence around the world. Next year the new F-35B Lightning II stealth jets, the most advanced warplane in the world, will start flight trials from the ship, and HMS Queen Elizabeth is on track to be fully deployable anywhere in the world by 2021. Both of the UK’s aircraft carriers are being delivered by the Aircraft Carrier Alliance, a unique partnering relationship between industry and the UK Ministry of Defence.